Assistant House Minority Leader Norine Hammond (R-Macomb)and Representative C.D. Davidsmeyer (R-Jacksonville) met with Virginia and Meredosia-Chambersburg High School students on Tuesday, during Veto Session. 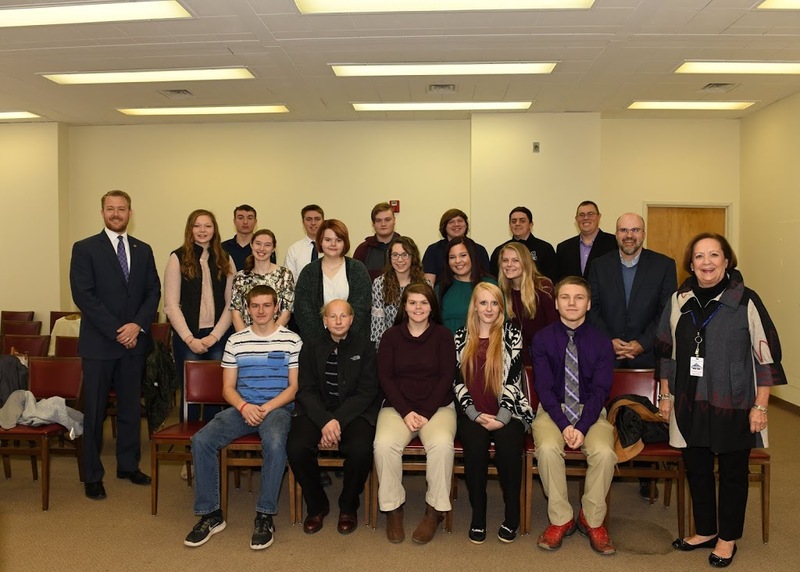 Virginia history teacher, Jeff Bennett, and Meredosia-Chambersburg history teacher, Travis Sievers, guided their students through a tour of the Capitol, where they met with their legislators to discuss process and policy in Illinois government. Pictured from L-R are Rep. Davidsmeyer, high school students, Mr. Sievers, Mr. Bennett, and Rep. Hammond.